With knowledge how to take a moon picture from yesterday post, I now can combine those pictures into an interesting one. 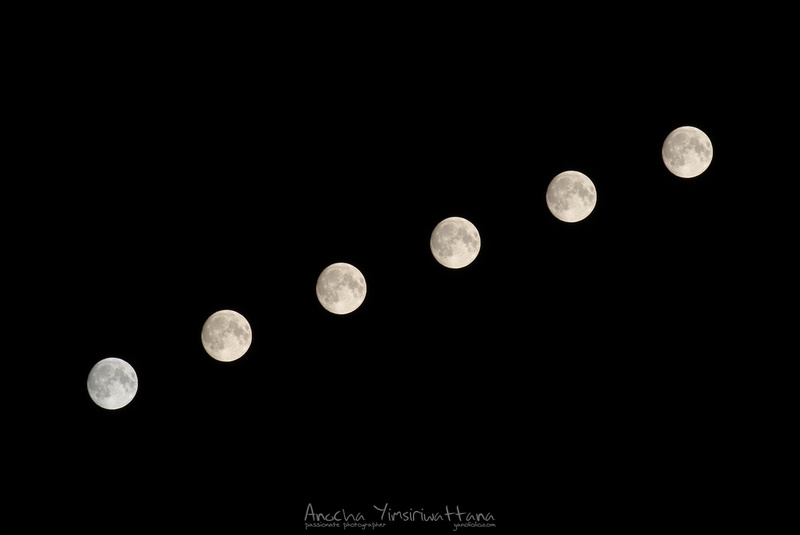 By taking each moon 5 mins apart on a tripod, and combine them with photo editing tool like Gimp (sorry, not photoshop). I am able to track the moon moves across the night sky. Moon shot with A7Rii Super35 + Canon 200mm F/2.8@ F11. 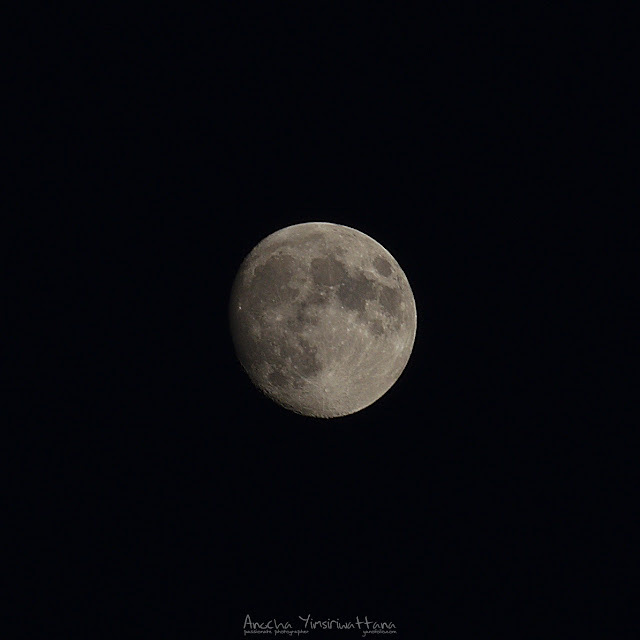 This moon shot was taken by A7Rii using Super35 mode, with Canon 200mm F2.8@F11 (equivalent to ~ 300mm). To get this shot, you need to take the shot underexposure, which allows the camera to see all detail of the moon surface. Otherwise, you can only see a big white ball. By using the lowest possible ISO, the noise is reduced significantly. By setting the aperture to F11, the lens will perform at the best and also further underexposure the image. By manually setting speed to 1/200-1/300, I can simply handheld. Make sure, that you do not underexposure too much. A7Rii in Super35 mode made 200mm to be 300mm, which help a bit. Is your camera sensor clean? Let ask a question, is your camera sensor clean? Here how I answer this question. I take out the camera, in this case, a Sony A7R, and put on my trusty Canon 100mm Macro with MC11. 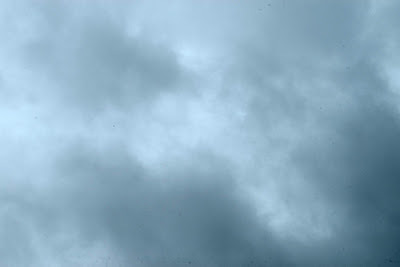 I set the aperture to F11 and take pictures of the sky. I choose an area of that sky that quite featureless. The key is to set aperture to F11. This allow the dust on sensor appear on the picture. If you use low aperture like, F2.8, F4, the dust images get blurry too much and you can not see them. If you see one at this aperture, the dust has to be a big one. The first picture is the jpg come out directly from the camera. Look closely, you will see a few blurry spots here and there, especially the lower right corner of the pictures. I think it is not so bad. In normal shooting, the dust images won't show up in the pictures. Could I say this sensor clean? Far from it! ... Let turn up the contrast, as shown in the second picture, then a lot more dark spot show up. It is impossible to keep your sensor dust free because every time to change lens, some dusts will get into your sensor. So there is no "big" dark spot show up in the pictures, I probably won't do any thing about it. May be, I just use "Rocket-Air Blower" to blow some dust away from the sensor If I see some spots. Otherwise, I probably send the camera to clean ... and that $$.